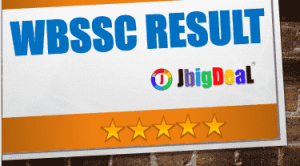 www.wbssc.com official website - Check all Examination Result and Notification. But today we wanted to let you know that www.wbssc.com is NOT an official website of west bengal school service commission instead someone not from this organization (WBSSC) is created this website called www.wbssc.com. Students or candidates should remember that www.wbssc.com is not an official website of West Bengal Govt. instead the official website is www.westbengalssc.com. www.wbssc.com result 2017 for Work Education and Physical Education examination held on 4th June 2017.